The smooth organic carved shapes of Luna Ming echo the strength of the ancient mountains from which they come. 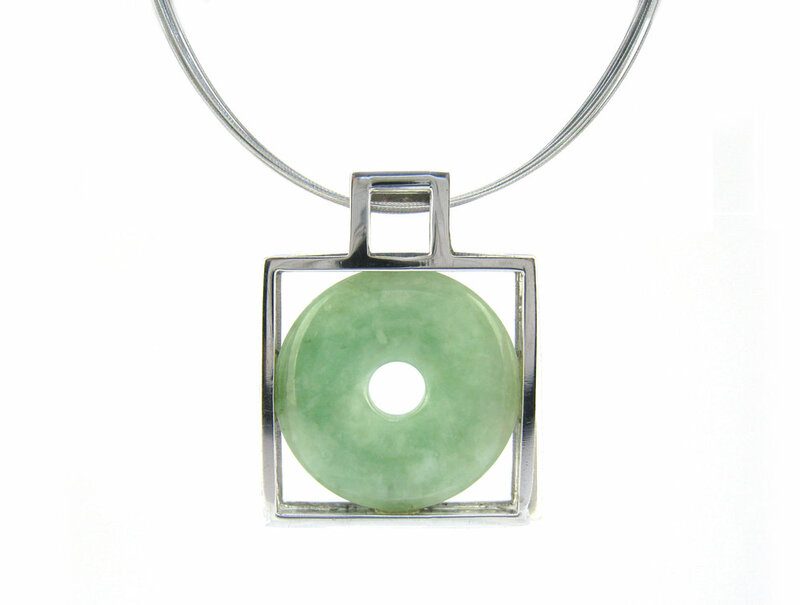 Inspired by mystical and spiritual symbols, each carefully chosen jade stone, set in sterling silver offers balance and harmony to the wearer. Since ancient times in China, jade was worn as a companion for life’s journey, both as protection and as a status symbol indicating the dignity, grace and sensibilities of the owner. Like phases of the moon, waxing and waning, life moves in cycles, with time for reflection and time for action. Acceptance of these cycles brings balance and harmony as we move through life’s changes. There is an ancient Chinese prover that says: “Gold is estimable, but jade is priceless.” The timeless strength of Luna Ming reflects harmony and the priceless compassion of its wearer.